Nepal is a home for the mountains. So, Trekking in Nepal lures trekkers and travelers from all around the world. 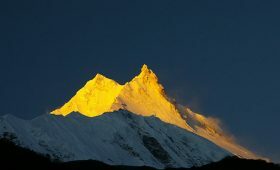 Nepal has a diverse landscape catering to the needs of almost all trekkers from every walks of life. The most popular trail is the great Himalayan trail. This trail has a series of some of the most popular trails to some lesser known trails in Nepal. The trails used for trekking in Nepal offers trekkers and travelers a glimpse into its diverse natural and cultural beauty. You can experience varying landscape from the lowland hills to the alpine mountain regions. From city life to the remote and rustic life of the people who call the Himalayas their home. Easy, moderate, strenuous/challenging and difficult are four types of trekking trails. These grades are according to their geographical location. Along with the number of days needed to complete the trek. Regardless of the choice of your destination, you must be physically and mentally prepared to enjoy the trek. Why take training for trekking in Nepal? Trekking in the higher altitudes is not simple nor it is something impossible. You need to prepare your body and mind. Walking on uneven terrains for 7-8 hours on a daily basis could be a kind of training that you might need. Trekking in Nepal often entails walking on trails that are quite rough in altitudes ranging from 1500 m to 5643 m above sea level. 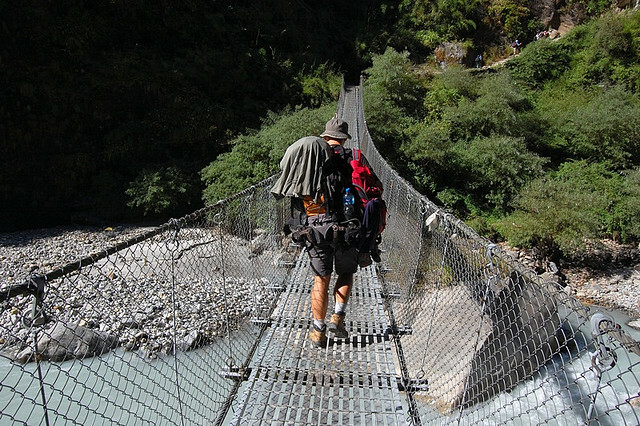 Short duration treks in Kathmandu like Chisapani Nagarkot trek has 2300m at its highest point. 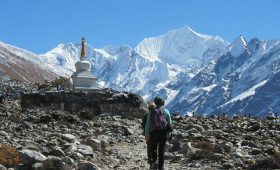 However, popular trails like the Everest Base Camp trek has 5643 m at its highest point. 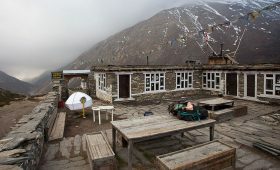 You will also be trekking in a range of weather conditions- cold and chilly nights in the upper regions. While hot and humid days in the lower regions and so on. Hence, you should train and prepare yourself for any trek. This way, your trekking experience will be a lot safer, comfortable and enjoyable. Always warm up and stretch before starting your training program. Check in with your doctor to determine whether you should undergo the training and the trek. Take your doctor’s suggestions on the type of trek you can undertake and medications (if required). Have an insurance that covers your trek including any emergency evacuation and rescue. Novice or beginner trekkers can choose the best seasons for trekking in Nepal and trek in the best trekking routes of Nepal. Training for any kind of trek is all about strengthening your mind and body. 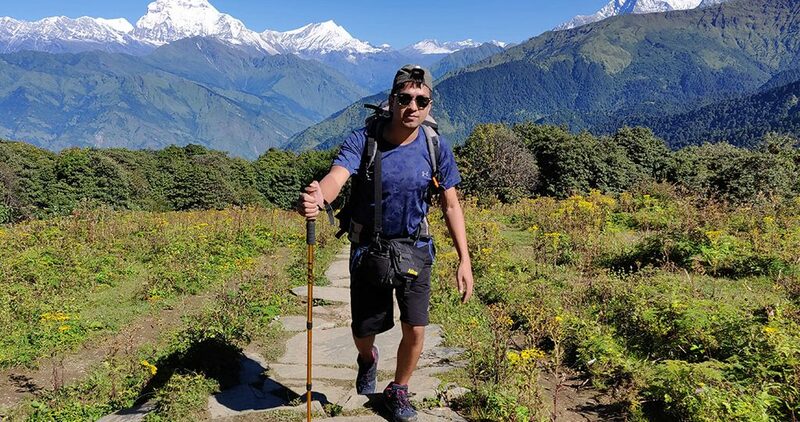 Mental health along with physical fitness is quite essential while trekking. And you will be walking for 6/7 hours daily to stick to the schedule and the itinerary. You definitely will need some kind of training. For this, different specialists will recommend different types of training. For most purposes, treks are a beautiful walking holiday. You do not need to be a professional athlete to be able to trek in Nepal. You need to be fit enough to walk for 6/7 hours daily. This should be on rough terrain and in varying weather conditions. This is a lot effective. Cardiovascular training will help you prepare for your trek. This training includes high-intensity exercises. It helps shape and strengthens your muscles, heart, and lungs. It usually involves short ‘bursts’ of high-intensity effort followed by a short rest/recovery period. It is one of the best ways to increase your stamina to prepare you for different altitudes treks. Example: One of the best ways to do this exercise is to find a stairway and get to the top as quickly as you can. Do this in sets of 10 and you can increase the intensity by carrying a backpack. Increase the weight of the backpack slowly as your training progresses. 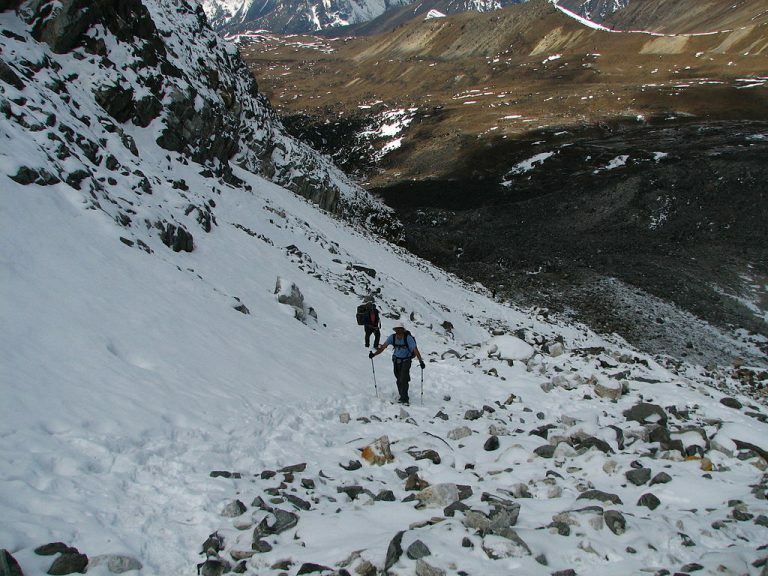 Trekking in Nepal involves going uphill, downhill on rough, smooth terrains. So, you need to focus on building strength in your quadriceps, back, shoulders, arms, and abdominal muscles. To make them ready to undertake the burden of high mountain trekking. Strength and muscle conditioning training will help train your skeleton. And improve strength and endurance. This training improves your muscle strength along with strengthening connective tissues like tendons and ligaments. From this training, you learn how to save strength and not waste it on unnecessary tasks during the trek. It can help reduce knee or ankle related problems, sprains on your back, neck. It will also make your body strong and well-prepared for the duration of your trek. Examples- hiking in hilly areas near you, doing lunges and squats. Flexibility is the ability of your muscles and tendons to relax and stretch. This training will help improve your body posture, relax your muscle and reduce strain on your back. Flexible muscles can help you with your mobility. It also helps to reduce the chances of injuries like an ankle sprain or bone fractures. Having flexible muscles helps to make your trek more easy and comfortable. Hence, stretching or flexibility training should be an integral part of your training. Example- Stretching before and after hiking on your actual trek. Hiking in the high hills and mountain terrains are something that is not available in every place. Hence, having a trek specific training can help you adapt to the environment of high altitudes in more comfort. This training helps you become familiar with hiking on steep hills and hilly terrain while maintaining body balance. Breathing exercises can also be helpful for high altitude trekking. Examples- hiking on steep hills nearby, doing yoga. Many of the trekking routes in Nepal will take you to altitudes of above 2400m. If you are not used to these type of altitude, you need some altitude training. Get plenty of sleep during your trek. Sleep determines how your body reacts to the stress and altitude. Move at your own pace during the trek. Do not rush, maintain your own pace. Get as much information about AMS (Altitude Mountain Sickness) as you can. It is a serious medical problem that can affect anyone including experienced trekkers. Having knowledge about this can help you to take necessary precautions and detect the early symptoms. Descend if you notice any of the symptoms related to it, consult a doctor as quickly as you can. Having rest days between your training are important. This includes a couple of days of rest every week or so during training and before the actual trek. It allows your body to recover and helps you to train harder as well. Most of the trekkers in Nepal are not professionals nor mountain climbers. They are regular people from different walks of life. 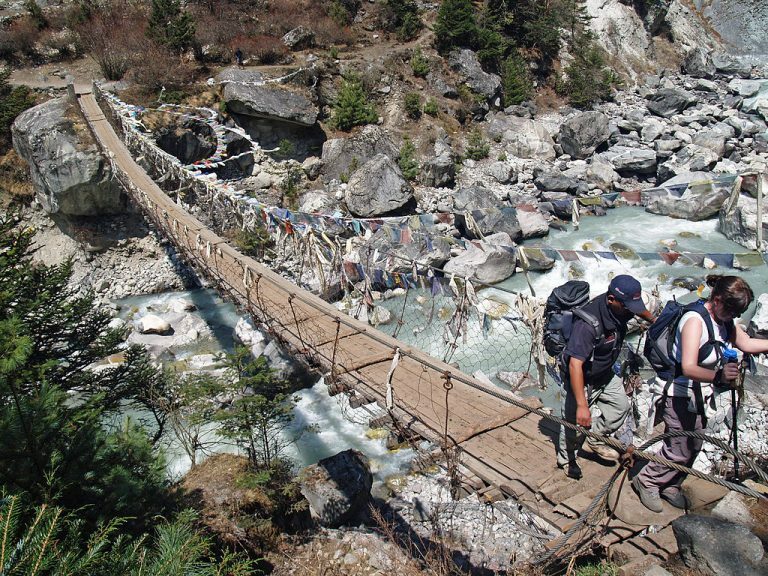 Trekking in Nepal usually means walking for 5/7 hours on a daily basis for the duration of your trek. Endurance training can develop emotional strength. It is important for treks to the higher regions of Nepal as it helps to develop “do not give up” attitude. During your trek, if you lack physical energy, your endurance pushes you to continue. You will find joy and fulfillment in your treks to Nepal. Only if you prepare well and foster the right expectations. Having and being able to keep a positive mind-frame throughout your trek can help you experience the wonders of your trek. This will make it a more fulfilling and happy one. Example- Getting as much information about your actual trek like trail conditions, accommodations, food, trekking duration, distance and so on. This helps you to know what to expect and leaves no room for speculations. 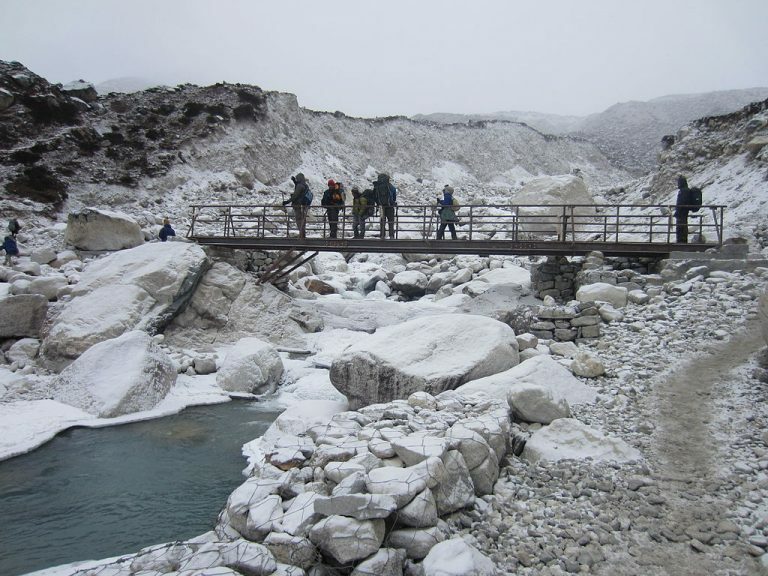 Trekking in Nepal usually involves trekking in both low and high altitude regions. The air becomes thinner as you ascend to the higher altitudes. You need to be physically fit to adjust to the decreasing level of oxygen in the higher regions. Having a moderate level of strength and endurance training will help to make your trek comfortable. Good aerobic training will help you cope with the decreasing level of oxygen. This will help you in bringing energy to your leg muscles as well as reduce any potential effects of AMS. Strength and conditioning training helps in making climbing up and down hills easier. Flexible muscles help you to relax and allow your body to enjoy all movements associated with a trek. Being mentally prepared for a trek helps you to overcome any annoying or stressful situation. Like mosquitoes, long flight of stairs, etc. Do not put off training for your trekking until a month or less before your actual trek. It is good to have a professional trainer to train you for your trek. They can most likely develop a trek-oriented training program. Stick to your trekking routine. Treks to high altitude regions do present a substantial physical challenge. If you are fit before you start, it will help you enjoy your trek in more comfort. Taking daily hikes to nearby hills is a great way to prepare and train for your actual trek. The days after your trek depends on the trek you have recently completed. Hence, wearing comfortable shoes and socks can help relieve the soreness. Trekking to Nepal is a wonderful and exotic experience. You will be walking for 6/7 hours on a daily basis duration your trek. Having a good and healthy body and mind is a must for a comfortable trek. Being prepared for your trek and having a positive mind frame ensures a more enjoyable and relaxed one. Always remember that you are here on your holiday. Relax and enjoy the landscape, culture and natural beauty of the place. It is up to you to slow down and stop the trek any time you want. For any treks, preparation or queries related to tours and treks in Nepal, feel free to contact us.